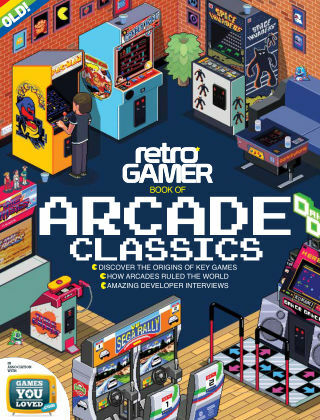 With Readly you can read Retro Gamer Book Of Arcade Classics and thousands of other magazines on your tablet and smartphone. Get access to all with just one subscription. New releases and back issues – all included. For the first time ever we've collated some of the greatest arcade content from the last ten years of Retro Gamer. If you ever remember playing Pac-Man in your local arcade or sitting down to play Atari's Star Wars you'll find this book unmissable. Featuring: When Arcades Ruled The World - We speak to classic developers and reveal how arcades dominated the gaming scene in the Seventies, Eighties and Nineties. The Making Of Pac-Man - Discover how Toru Iwatani created his incredible maze game and one of gaming's most iconic characters. The Evolution Of Street Fighter - We reveal how Capcom's one-on-one fighter went from an also ran to a heavyweight contender. The Legacy Of Dragon's Lair - Discover how Don Bluth created one of the world's most iconic laserdisc games in the early Eighties.